General Motors is recalling several crossovers over issues with the front driveshaft. The defect: the right front intermediate driveshaft may fracture and separate while driving. The hazards: if the right front intermediate driveshaft assembly separates while driving, the vehicle will lose propulsion, increasing the risk of a crash. If the component separates while parked on a grade, without the park brake engaged, the vehicle may move unintentionally, increasing the risk of a vehicle roll-away. Number of vehicles affected: 2,905 vehicles (United States figure). 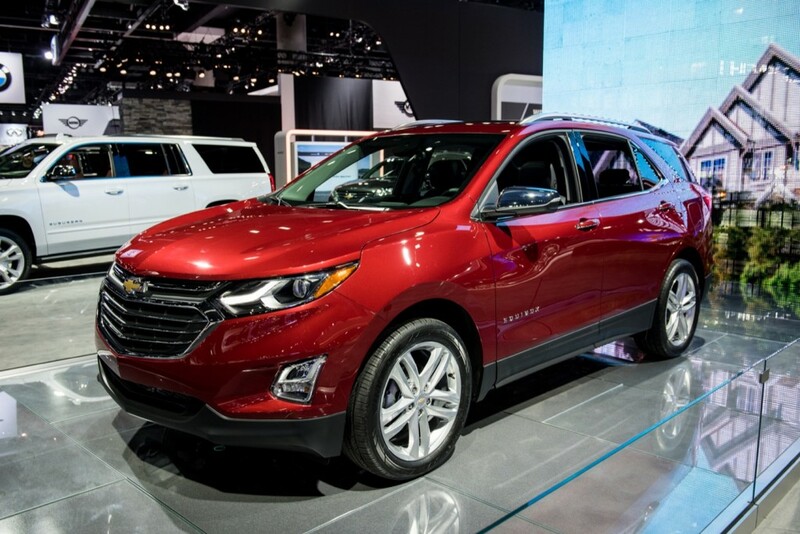 Owners should: customers looking to find out if their vehicle is included in this Chevy Equinox, GMC Terrain and GMC Acadia recall should visit recalls.gm.com. There, owners will be able to enter their Vehicle Identification Number (VIN) to see any open recalls as well as customer satisfaction programs. If the vehicle is part of the recall, then owners should take it to a dealer. Well this is how this works. The shaft is made by a supplier. They will build them in batches and they are tracked to the dated the were shipped and installed. This gives GM a time frame of when they were used. Keep in mind odds are only a few had an issue but due to the safety they will recall the entire batch. Like stated this not only could effect driving but parking. Recalling is the smart thing to do. All mfg have recalls this due to supplier part issues and many go unnoticed. Some like the Takata air bags are front page news. This will be recalled and forgotten in a short time like most recalls. Note design issues are often entire production runs and seldom are isolated to a a small number like ‘this recall. How did they find the defect? Did GM find it, or was it found on an Acadia since they’ve been on the road longer than the others? I understand you can’t always necessarily guarantee quality to be 100% on everything mass produced. Heck, I worked at Toyota, and their vehicles suffer from mass production also. 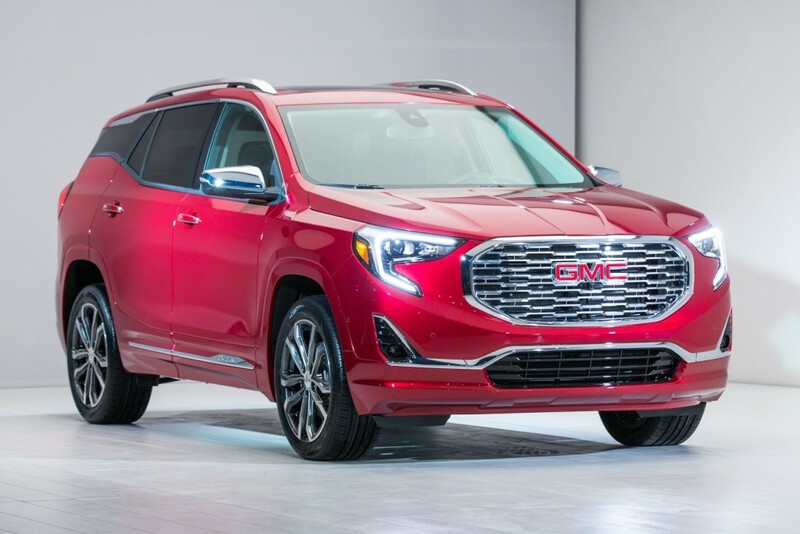 It’s great that GM is getting better at post sale quality control, but I’d also start looking at the parts supplier manufacturer success rates before signing that contract, then start getting tougher on them also. This particular instance could be part of assembly though, I guess. Most likely looks like engineering. Regardless of engineering, parts manufacturing, or vehicle assembly, as I said, with these being mass produced machines, there’s still going to be a problem here or there, but they got to look into how to prevent these things from happening in the future. And these are ” just ” the defects that are a threat to life and limb. There are a host of toy grade electronics, and cheap parts the company still likes to use that last about a year and half, if you are lucky, and GM gets away with not upgrading them: Tire pressure sensors, fuel pumps, AC compressors, and the list goes on. You’re probably not going to die driving one, but it’s the headache of owning one that is the issue. No other car company is as reliably unreliable. NEW GM = OLD GM. So, what’s the solution? Seems like normal things to have a malfunction. As I mentioned before, I worked in Toyota service at a Toyota dealer. I saw and drove many types of vehicles, obviously especially Toyota. Most of that stuff was getting replaced all the time. As far as some of the other stuff, it seems like they use some things in their vehicles designed before the old company went bankrupt. For example, I’ve got a 2015 Camaro, pretty satisfied with the vehicle, but just recently, every now and then my key gets stuck from the gear shifter interlock. My 2005 Cobalt did something similar. Now the Camaro was unveiled as a prototype in 2006. So the parts for the vehicle were manufactured at least around that time frame. I’m getting the part replaced under warranty. From what I understand it’s a rare-common issue whereas some vehicles do it, and some don’t. I also researched the part, and apparently they have a revised one out there, but it may just be for those vehicles that have the issue for now. I just looked it up on GMPartsdirect, and it was listed as may be revised. For my particular vehicle, under warranty, I had to get the taillight replaced because of a broken seal causing condensation , and they ordered a new seatbelt kit because the tensioner stopped rolling back up all the way. When I worked at Toyota, vehicles were also getting some of those similar items replaced under warranty. GM still isn’t 100% perfect, everyone, the fans, the company, etc. knows this, but they’re far from unreliable. If they were really that bad, with product/customer service, I wouldn’t drive one, and that’s a guarantee. As you can see though, even the over glorified realiability giant of Toyota, also has issues. I thought my Cobalt was a pretty decent car. I can feel the difference in my sisters 2015 Cruze, and my Camaro in build, and that’s just Chevrolet. I was able to drive used vehicles of the other brands newer than 2005, some 2010 or newer, at the Toyota dealer, and those were good also. No auto maker is 100% in quality, you can’t even guarantee that, because of all the mechanical parts and computers, etc, involved. Here was that Toyota dealer, they had used Corvettes, Mustangs, Chargers, Challengers, Camaros, you name it, and someone told me, they heard sales say to customers that people traded those in for a Camry or Prius, when the dealer in fact got those from auction. They were just trying to make a sale with what they already had I guess, but I wouldn’t have believed someone traded a Corvette or Hellcat for a Prius. The solution is don’t bail out a company that has failed through consistent poor quality and mismanagement for the better part of a century. There was no conspiracy, the company failed in a competitive market system. The customer had spoken. If you keep bailing your thug child out of jail, he is less likely to learn his lesson. I won’t get into the fact that this is surely the only place in the world where someone would call a 2005 Cobalt a decent car, but of course all machines can fail, but for every one annoying thing that breaks on a Toyota it is a statistical fact ten things will break on a GM vehicle and much sooner in the life cycle. But it is also personal experience, my employer’s Impala had to get it’s second AC in as many years. The car is 3 years old. The bailout came and went, there’s not a thing we can change about it. Even if GM paid it back, what benefit would taxpayers get anyway? Absolutely nothing, except for them saying they paid the US treasury back. What will the government do with the money, who knows at this point, probably invest millions into a parade of angry chickens, and that’s from a neutral perspective. It definitely won’t go back into taxpayers wallets. I would not purchase any Toyota product, whether Toyota or Lexus. I could go on with a list of issues, but here’s a few, you want to point out a tire pressure sensor issue, I drove a Lexus back into the shop from the service drive because the tire pressure light was on. The tech tried the relearn procedure, and it failed. There’s way more issues that I experienced though. I’d just suggest to work in a Toyota service department. It’s way more than people just coming in for 2 year scheduled maintenance/oil changes. A guy came in from a rain storm, saying his Sequoia was acting weird, I got in to drive, and collect miles, every single light imaginable was on, it looked like a Christmas tree. There were newer Camrys coming in, only 20,000 miles, and needing new batteries. You can believe what you want, but I’ve been there. Toyota makes a pretty good product, but I saw nothing that would make me switch to Toyota, especially when the dealer is the only one, and my GM dealer is better. At least I wasn’t this one Guys dad that had to get a water pump replaced in my truck 5 times by Toyota, with a Toyota part. Usually when GM dealers have replaced my items, I’ve had no further issues. On a YouTube thread, this guy replaced more on his 2005 Corolla than I did on my Cobalt. Car could still be going, but I wanted a change, and to build some credit. I had the power steering recall which Toyota based Jtekt supposedly made the system for, the gear shifter, tires, oil changes, new steel rim when I had a blowout, o2 sensor, and ignition recall all done on the Cobalt. My ACDelco battery on the Cobalt lasted 7 years, until it exploded and acid ate the terminals. only time it was towed. Other than that I took the thing up to 82,000 miles before deciding to get something else. It still ran like it just rolled out of LordsTown though. The mileage wasn’t a lot, but there were some Toyotas that came in, in worst shape than that with 82,000 miles. I have a 2014 Cadillac ATS and it had now had 5 recalls. I understand that this is for consumer safety but it’s still very dissapointing. I was thinking about a 2018 terrain but I’m no longer sure……. Gee that is a lame response, They voluntarily fix issues on your car unknown to you and you complain? Really!? Hope they get all the kinks ironed out before the RHD Holden Acadia rolls out in 2018!! !